Apple’s BootCamp for Intel Macs is pretty handy, but for Tiger users it’s still a beta product with a few bugs. I think the most irritating of these is its habit of jumping the computer’s clock forward or back by a few hours whenever you switch between OS X and Windows. 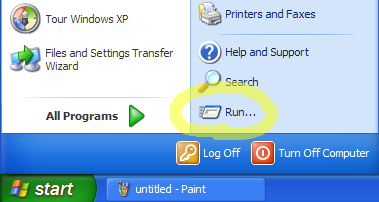 In Windows, the jumpy clock behavior cannot, at least as of the 1.4 beta, be helped. But you can at least put a stop to it in OS X. Unintuitively, you’ll need to solve the problem by editing the Windows Registry–one giant monster file that keeps track of all your Windows application settings. This tutorial is based on instructions from Georg Filios at Mac OS X Hints. Step 1. 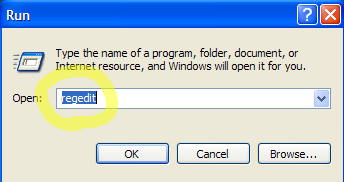 Boot into Windows and double-click on the clock to set it correctly. Step 2. 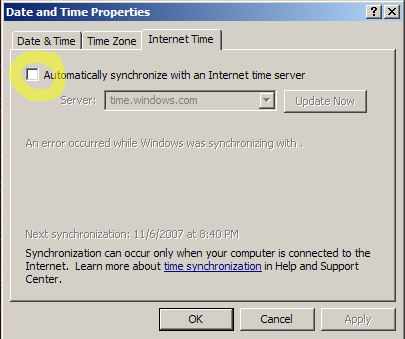 Make sure you have Daylight Savings adjustment and time server synchronization turned off. Make a note of what time zone you’re using. Step 7. 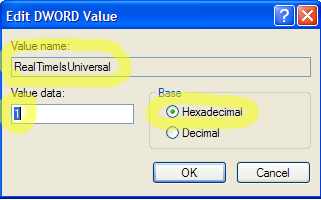 Double-click on the new value you just created to edit it. Step 10. Boot back into OS X and click on the clock to set it correctly. (If you’re using the Apple time server to set the clock, you can leave this on.) 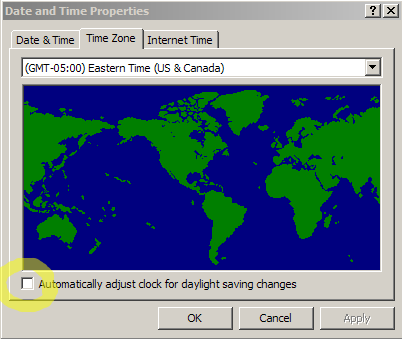 Make sure that you’re using the same time zone as in Windows. Try switching back and forth between OS X and Windows a few times–the OS X clock should now stay set!